What you see here is the Blackbird. It’s an electric dune buggy-like vehicle that can be adjusted in numerous way to mimic the driving of any production car. It’s made by The Mill, a digital effects studio in London, and in addition to the fully customizable chassis, it’s outfitted with 360-degree cameras. This allows it to be filmed while impersonating a specific car, and then CGI magicians use an overlay to turn it into that vehicle. This means no more worrying about car availability, model revisions/designs that aren’t finalized yet, or the threat of damage to exotic vehicles during filming conditions. Described as the world’s first fully adjustable car rig, the Blackbird can be lengthened by up to four feet, widened by up to 10 inches, and change wheels and suspension to match the car it’s mimicking. Plus the electric motor can be programmed to emulate different driving characteristics. With the Blackbird offering real footage of wheels interacting with the road and driving sequences — two of the most difficult things to get accurate in CGI, explain The Mill — the cameras give video producers a 3D map of the car’s surrounding environment, along with things like dynamic driving behavior. From there, they can create a CGI vehicle with realistic shadows and reflections. Don’t think it’s possible to create a car commercial with CGI that looks just as good as the real thing? Check out The Mill’s gallery of ads shot for major car makers that highlight just how realistic the Blackbird is. 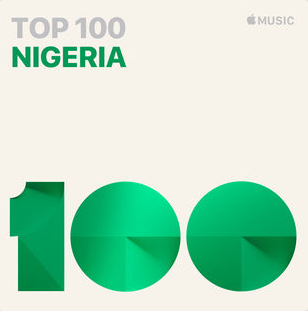 Apple Music Is Adding Charts; Global, Nigeria and More! Google AdSense Is Celebrating 15 years Anniversary, Congratulation!